Soundings: August Issue – Eco Alianza de Loreto | Loreto, B.C.S. If you have ever heard anyone say that “summer is the slow time” in Loreto, this month’s issue of Soundings offers ample proof that they are dead wrong. 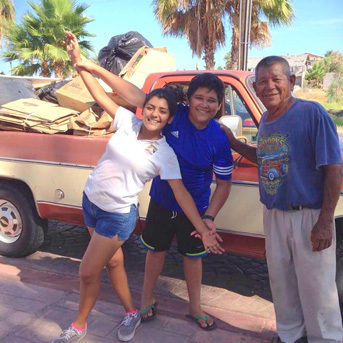 • Loreto’s citizens rolled up their sleeves for recycling and water conservation. We are proud of Eco-Alianza’s role in all these accomplishments, and ever grateful for your support. Sounding generally refers to a mechanism of probing the environment by sending out some kind of stimulus. The partnership includes our extraordinary Sister Park project, an initiative that Eco-Alianza undertook and facilitated almost three years ago on behalf of Loreto — with the cooperation of the Channel Islands National Park, supported by Superintendent, Russell Galipeau and scientific staff, the Bay of Loreto National Park, with former Director, Everado Mariano and current Director, Alejandro Gonzalez, the University of California Natural Reserve System, University of Baja California Sur, San Diego Natural History Museum, the U.S. Consulate in Tijuana and stakeholders of Loreto. 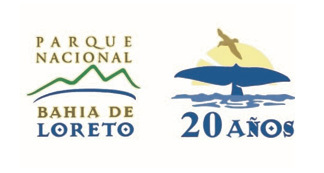 The three new partnerships within the Sister Park program are: the Channel Islands National Park off the coast of California, Isla Guadalupe Biosphere Reserve and Bahia de Loreto National Park, Yosemite National Park in California and Cumbres de Monterrey National Park, the Everglades National Park in Florida and Los Petenes Biosphere Reserve. “This cooperation helps protect shared natural and cultural heritage, including many species of wildlife that move regularly across park and international boundaries.” Please see the link to the full article, entitled United States-Mexico Relations, dated July 22, 2016, Environmental Cooperation. The Sister Park partnership was the impetus for what has now become an expanded “Sisterhood” relationship between Loreto and Ventura, California, including already-approved designations as Sister Cities and Sister Missions, (Our Lady of Loreto and Mission San Buenaventura). 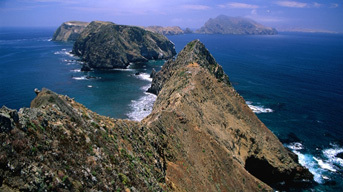 Initially, it was Eco-Alianza’s leadership in advocating for the Sister Park designation and inspired by the Channel Island National Park’s concurrence. Others came on board along the way sharing Eco-Alianza’s enthusiasm in support of the project with Eco-Alianza nipping at their heels. This partnership is appropriate and makes such good sense. The national marine parks are strikingly similar — each park contains five islands, some of which are home to plants and animals that live nowhere else in the world. The surrounding waters of each are very rich fishing grounds, and also very popular with recreational boaters. The coastal component of each exists in an area where tourism is important and where conservation is critical. 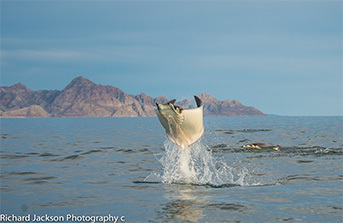 With the Méxican government this year necessarily exercising fiscal constraint due to falling national oil revenues, the operating budget of the Bay of Loreto National Park (PNBL) has been slashed, even as the Park celebrates its 20th anniversary. Accordingly, the staff has been searching for ways to continue funding several ongoing conservation-oriented projects, as well as to fund enforcement efforts that are critical to protecting threatened and endangered species on the islands and in the 510,000 acres of the Gulf of California that comprise the park. Approval of the Sister Parks initiative could literally prove to be a lifesaver for conservation efforts here in Loreto. Channel Islands Park biologists have vast experience initiating and implementing conservation management plans for endangered and threatened species of marine and terrestrial species. Fisheries managers with the Park have been instrumental in working with enforcement personnel to establish “no-take” zones that have multiplied biomass, increased populations of stressed species exponentially in some areas, and still allowed for appropriate recreational and artisanal fishing activity. Importantly, Channel Islands Park Rangers and educational staff have been instrumental in building public support for conservation efforts including an innovative Visitors Center, and outreach efforts that include nature webcams and live underwater broadcasts from scuba divers interpreting and answering questions about the underwater environment. We, in Loreto, can learn so much from this very special partnership in the generations to come. As we reported in the July Soundings, the competition in Eco-Alianza’s fourth annual Recyclathon was hot and heavy, with 31 five-person teams competing for prizes. 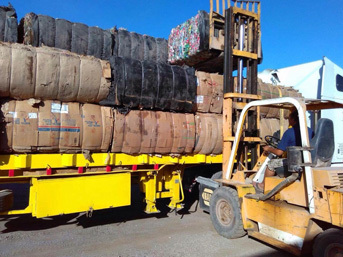 After four weeks of the five-week competition, just over 15,000 kilograms of plastic, cardboard, and paper had been collected. And as promised, we’re back to report final results — that a huge surge in the competition’s final week pushed the total to 23,946 kilograms, or more than 26 tons of recyclable materials being diverted from disposal in the landfill (and also being saved from being burned or from blowing into the sea). 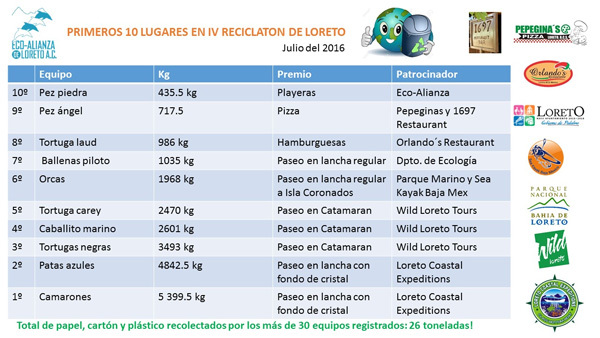 The top team, “Los Camarones,” collected 5,399 kilograms, followed closely by second-place “Patas Azules,” with 4,842 kilograms. Both teams won an outing on the glass-bottom boat, courtesy of Loreto Coastal Expeditions. Teams finishing in third through fifth place won catamaran outings courtesy of Wild Loreto Tours. 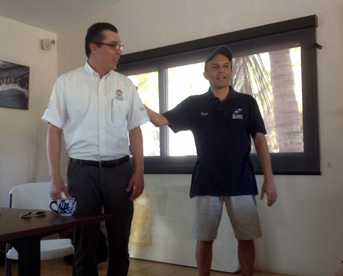 Sixth and seventh-place teams won panga outings to Isla Coronados, courtesy of Loreto’s Department of Ecology, Sea Kayak Baja Mexico, and the Marine Park. Marine Park staffers also helped solicit and collect additional team prizes, including hamburger dinners from Orlando’s, pizzas from Pepegino’s and 1697, shirts from Eco-Alianza, and more. Thank you so much to everyone who participated in making this a huge success! At the end of May, Eco-Alianza Environmental Education Program Coordinator Edna Peralta completed a semester-long project working with students, teachers, and administrators at Loreto’s Benito Juarez (Junior High School). The topic is a critical one for a desert town: Water Conservation. More than 400 students took part in a wide variety of awareness-building and action steps, culminating in a day-long water-related fair at the school, and guiding the school to reduce its monthly water consumption by nearly 11 percent. PROBEA’s Smart Schools program involves not just students and teachers, but also administrators who all take part in learning about a topic and improving their school site, as well as taking ideas home and throughout the community. 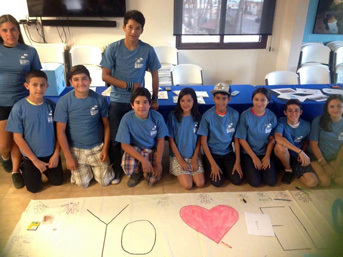 Once Loreto was chosen as the focus community, and water conservation was agreed upon as the topic, a committee of teachers, students and Eco-Alianza leaders was formed. The diagnostic phase revealed a core problem. There was no way to assess water conservation measures at the school because the school had no water meter! After contacting the water department, OOMSAPAL, a water meter was installed and the initial month revealed a usage rate of 165,000 liters per month. The investigation phase revealed water leaks in the school restrooms, as well as wasteful practices regarding school landscaping and dust-abatement efforts. Repairs were made and water usage practices were altered, resulting in an immediate savings of 17,240 litres the following month. 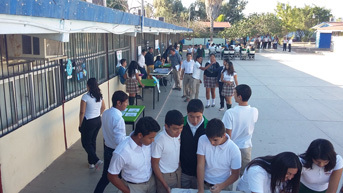 Along the way, students participated in a logo and slogan contest, among other learning activities, and teachers joined Edna Peralta in preparing and presenting lessons on the history of water in Loreto and other water-related topics. Eco-Alianza’s Alex Estrada also participated in the water fair day, with presentations about his work testing water quality at 12 area beaches as part of the Loreto Coastkeeper program (read more about Alex’s work in next month’s Soundings). 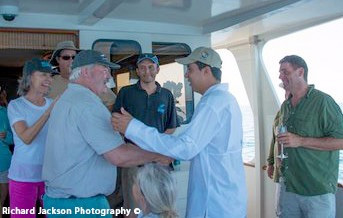 On July 19, J. Alejandro González Leija called the Bay of Loreto National Park “the people’s park,” and encouraged Loreto citizens and visitors to get involved and support and appreciate the Park in every way they possibly can. González serves as Park Director, and was speaking at Eco-Alianza’s headquarters, the Community Center for the Environment (CenCoMA), about the Park’s accomplishments and challenges on the occasion of the Park’s 20th Anniversary. Over two evenings, five additional speakers celebrated the Park with educational presentations on chocolate clams, reptiles, reefs, conservation opportunities, and widespread uses of the Park. The presentations, in Spanish, drew excellent crowds but were only a part of the overall week-long celebration of the Park’s 20th Anniversary. A photo contest and exhibition, with historical pictures that brought back memories for Loretanos and long-time visitors, were presented on the first floor of the city hall. A beach day included opportunities for children and adults to try out water sports including kayaking, stand-up paddle boarding, scuba diving, and snorkelling. Also on the beach, a “Discovering Natural Treasures of Loreto” competition and rally for kids pitted five-person teams against each other through a wide variety of creative, athletic, and educational activities. Organized and run by Eco-Alianza, Park employees, and volunteers, the event had children taking part in sack races, face painting, drawing, and educational stations teaching about fish, marine mammals, sea turtles, sea birds, and islands. Loreto Coastal Expeditions donated a glass-bottom boat trip for the winning team. Eco-Alianza provided a pizza dinner for the second-place finishers, and La Michoacana provided ice cream for the third-place team. The festivities were capped off with sharing an anniversary cake, awarding of prizes, dance presentations, and a rock concert on the beach. The Sister Cities Committees of Loreto and Ventura, California are producing a joint calendar featuring eco-tourism activities in and around our cities and national marine parks. Save space on your wall, as the calendars will raise funds for our international cooperative and cultural activities. More information in Soundings this fall. SAVE THE DATE, November 5! Eco-Alianza’s Ninth Anniversary dinner and auction soiree. Reservations available soon. And if you can support Eco-Alianza by donating an amazing, auction-able item, service, or unique experience, please email Edna.Peralta@ecoalianzaloreto.net.